ARB Air Locker's patented design has proved extremely reliable, even under the most arduous conditions. The Air Locker's strength comes via structural components manufactured from aerospace grades of high alloy steels. ARB engineers increase the number of differential pinion gears, where possible, t.. 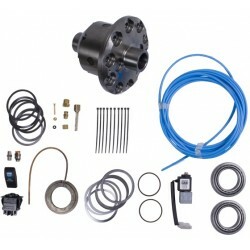 The ARB Air Locker is a pneumatic locking differential that uses air to facilitate the locking of both axles. 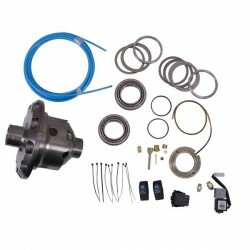 This action converts your differential from a conventional open to a full spool type axle supplying 100% power to both wheels to keep you going through the worst terrain. ARB onboard air com..